Machine Safety Regulations For Ontario - Safework Engineering Services Inc.
All employers and workers in Ontario are subject to the requirements of the Ontario Occupational Health and Safety Act. 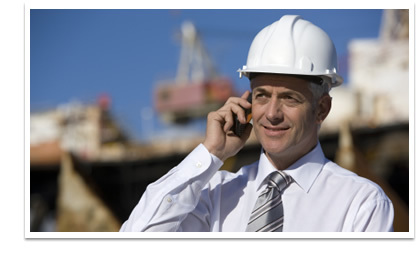 Depending on which area you are working in, complimentary Health and Safety Regulations will also apply. Examples: if you are working in a factory, then Regulation 851 for Industrial Establishments will apply; if you are working in construction, then Regulation 213 for Construction Projects will apply; if you are working in health care, then Regulation 67 for Health Care and Residential Facilities will apply, etc. A number of other occupational health and safety regulations exist for window washing, designated substances, WHMIS, control of exposure to biological or chemical agents, etc. and may also apply to your situation within a factory, health care facility, construction project, etc. Machinery is generally associated with a factory and would then be subject to Regulation 851 for Industrial Establishments. Note however, that the definitions for “industrial establishment” and “factory” in the Occupational Health and Safety Act also consider many other activities such as laundries, logging, warehousing, office buildings, arenas, shops and offices, etc. to be industrial establishments. There are many machine safety standards which have been developed via a consensus approach by manufacturers, users, and interested parties. These standards are not law, but are used by Ministry of Labour inspectors to determine if employers have done “everything possible to protect their workers” as required by the Occupational Health and Safety Act. In Ontario, the principal standards utilized are produced by the Canadian Standards Association (CSA). Standards from the USA, Europe, and International Organizations can also be referenced, depending on the application, as secondary standards. SESI conducts Pre-start Health and Safety Reviews as required by Section 7 of Regulation 851.